Get the Best Price + Service! Do you think you may need sewer replacement in New Jersey for the sewer pipe line on your NJ residential or commercial property? At A1 Sewer & Drain, we can help you out with sewer repair services and sewer pipe line replacement service throughout Bergen County NJ and nearby areas of New Jersey. Sewer replacement is surprisingly straightforward and simple these days, we don’t even have to dig up your yard. With NJ trenchless sewer replacement services, we can quickly and easily eliminate old, damaged sewer lines and replace them with a brand new sewer pipe line. Interested in learning more? 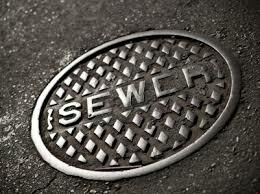 Call us any time, 24/7, at A1 Sewer & Drain, at 201-645-0888. A surprising number of NJ sewer problems can be solved with simple spot sewer repairs; often using trenchless techniques to fix your sewer problems without digging up your yard. 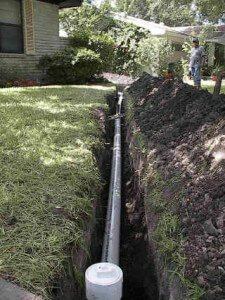 So when you do need sewer pipe line replacement and when do you need sewer line repairs? Well, it depends. Pipe corrosion. Sometimes, your sewer pipe will actually begin to wear away from good old-fashioned rust. If your sewer pipe line is made out of any kind of metal, especially cast iron that is common in older homes, you’ll eventually have to deal with corrosion. Any time that metal is exposed to running water for decades on end, it will eventually wear down from rust. A metal sewer pipe line can also be subject to calcification, or “scale,” where minerals like calcium will form deposits on the metal and close up the pipe. 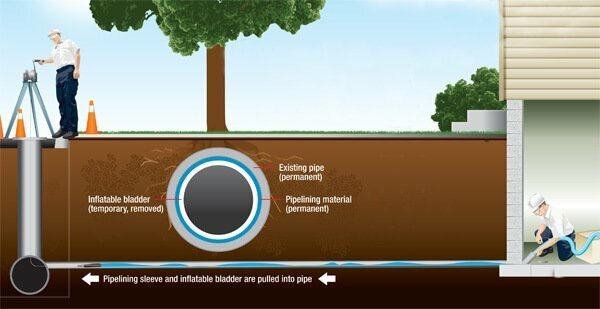 This increases the risk of clogs and obstructions, and it’s a good idea to get sewer pipe replacement in NJ. Pipe bursting. Sewer pipes in NJ can burst completely, in a catastrophic event that can flood your yard while causing nasty sewage to back up through your plumbing pipes into your home. Pipes can burst due to cracking, tree root incursion damage, age, and other factors. If your sewer pipe line bursts, you’ll need sewer replacement service immediately to fix the problem and prevent any further property damage. Orangeburg pipes. If your sewer pipe line is an Orangeburg pipe, you’ll need sewer replacement service in NJ as soon as possible. Orangeburg pipe was a type of composite paper- and resin-based piping that was used in NJ during World War Two, when metal resources were lacking because of the war effort. In a small number of New Jersey properties built during the 1940s, there may still be an Orangeburg sewer pipe line. Orangeburg pipes are prone to bursting, since they’re not as sturdy as metal pipes or modern PVC sewer line technology. If your home is a historic NJ house that was built during the Second World War, you may want to think about sewer inspection services to make sure your sewer pipe line isn’t made from flimsy Orangeburg pipe. If you need sewer pipe replacement service by expert sewer replacement contractors in NJ, you need to call sewer pipe replacement contractor NJ for best price and quote. You can give us a call anytime at A1 Sewer & Drain for a free estimate on any sewer line repair or sewer line replacement in New Jersey. 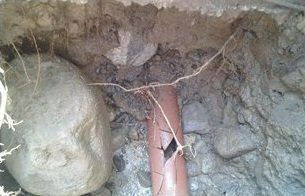 Diagnose your sewer line problem first! We have all of the experience and equipment needed to diagnose your sewer line problem and will work with you to to determine exactly what the sewer problem is and where it exists in the sewer line. We offer affordable prices for all sewer repair work in New Jersey and will recommend the cheapest sewer repair options available. 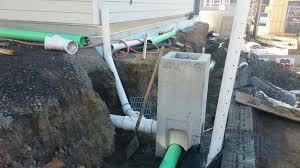 We have done so many sewer pipe repair and sewer pipe replacement in NJ that we have systems in place to complete your sewer line repair quickly and cheaply including all the necessary town permits and without delays. If you need sewer line replacement in NJ, you want an experienced NJ sewer replacement company (not just a local plumber) to provide your sewer replacement services in NJ . 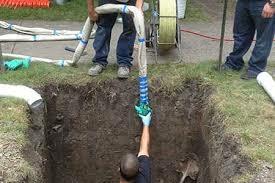 Call today at 201-645-0888 for excellent NJ sewer replacement services at a competitive price.